My fourth born is a "certified bird nerd." An artist. A gardener. An advocate for all creatures great and small. He's everything I imagined John J. Audubon to have been as a child. He's rarely without a field guide, can usually be found sketching animals, and is always on the hunt for some little critter to add to his window well habitat. He's my second grader this year. And here's what he'll be learning. The American Speller***I'm not gonna lie. This little bit of vintage loveliness is on his book list this year for no other reason than it is just soooooo beautiful that someone needs to read it with their language lessons. So, I've decided that "someone" should be him! I plan to have him read the page(s) that correspond with the letter/sound/digraph he happens to be learning that day/week. Attend a few naturalist day camps/classes at our local arboretum as they come up throughout the school year. He's so naturally inquisitive and is always eager to learn. It's gonna be a great year! Oh, dear! My auto-correct changed "Pearables"! Sorry! Kind of funny though! Solene, My boys read out loud to me once a day... Usually from a fiction nnovel or biography. But, once a week they read from a "boys" book like this one instead. So for the Pearables book, my son will read one lesson out loud to me and then we'll discuss it for a few minutes. I don't require him to do the activity. But sometimes he does it on his own. Thank you for taking the time to reply :) I appreciate your input. May the Lord bless you and multiply exponentially the time spent sharing and encouraging other homeschooling moms who desire to train their children in the ways of the Lord. 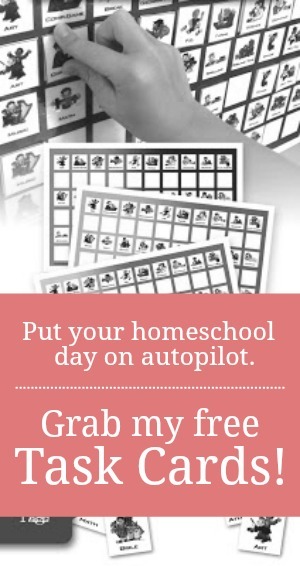 You are a blessing to the homeschool community. My 3rd grader is using Typing Instructor this year too. We've used that for a few years now and really love it. 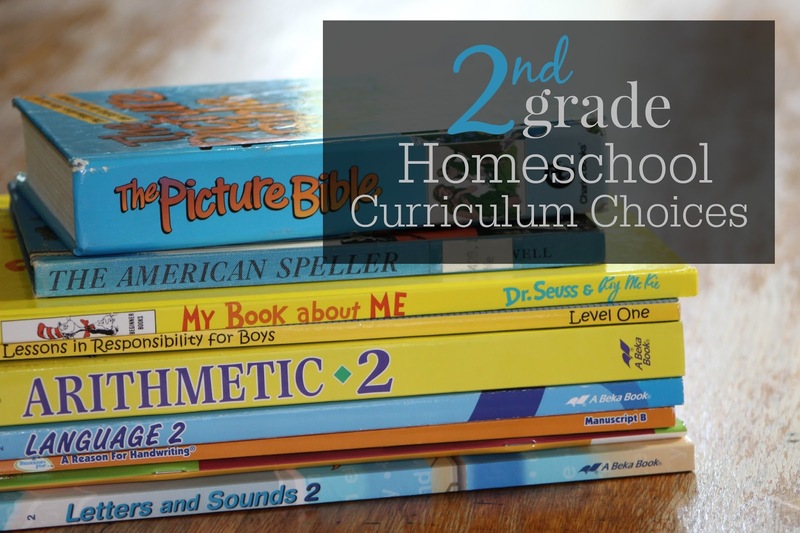 Hi, Jamie, I've been trying to decide what to do for reading as my oldest homeschoolers approach the age when they're no longer learning to read, but reading to learn. We, like you mention on your blog, also plan to use A Beka language arts through grade 2, then move on to BJU. But I'm a bit puzzled as to how I should handle reading. My children all LOVE to read, and are daily found, multiple times, curled up somewhere with a stack of books. Once they've learned to read well, I don't see the need to use a reading curriculum with prescribed readers. I see here that your second grader doesn't use those anymore either. Can you tell me how you handle this transition from "readers" to regular books? Thank you so much! These have the same word difficulty as the stories in curriculum readers. But, they are real books. Then, when I feel like they are reading those smoothly enough, I start introducing easy chapter books. Here are two lists of favorites separated by gender but can really be used for either boys or girls. Each of my kids have hit these early chapter books at different times. But, most have been ready for them in second grade. My current second grader is reading Chocolate Touch. I was wondering if you do the writing lessons in abeka. We are doing the whole language arts using abeka for grade 1 and we just got to the writing portion and we got a bit overwhelmed. 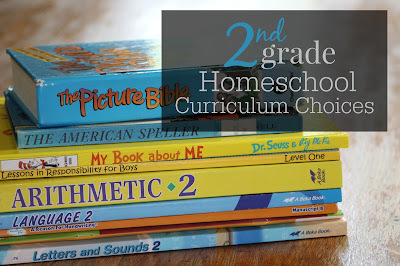 I am trying to decide what to do for grade 2.